Hubspot is a great Marketing, Sales, and CRM software, that allows you to manage all of your company operation at one place. You can grow like a company twice your size while connecting like a real human being. 1. Using Import2.com. This is a paid service but it allows you to import data with one click solution. You can Click Here to know how to import using Import2. 2. You can import data using.csv file which is free. The one click option is only for premium subscribers. 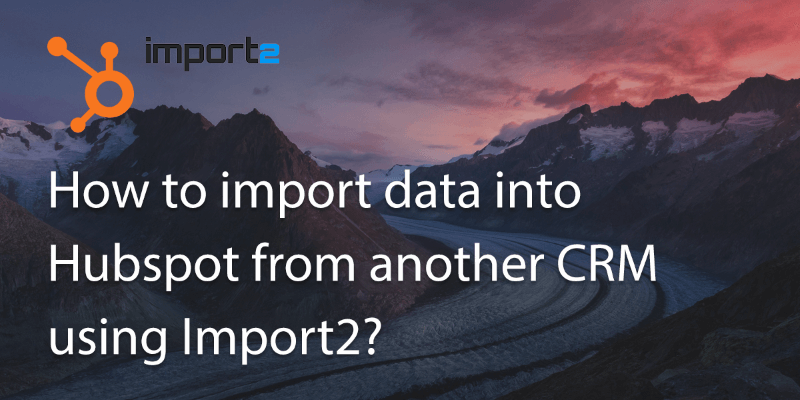 In this post we will discuss how to import data into hubspot CRM using a .csv file. 1. To import to Hubspot using a .csv file, first of all make sure your .csv has a header including fields like ‘first name’, ‘company name’ and ‘email’. Email is particularly important, so make sure each field has an email associated with it . You can edit fields by opening the .csv in Excel and then adding fields or details as required. Don’t forget to save any changes or save a copy of a the file if you want to keep the original as it is. 2. Once you’ve set up your .csv file, open Hubspot and go to ‘Contacts’. Click on Import. 3. 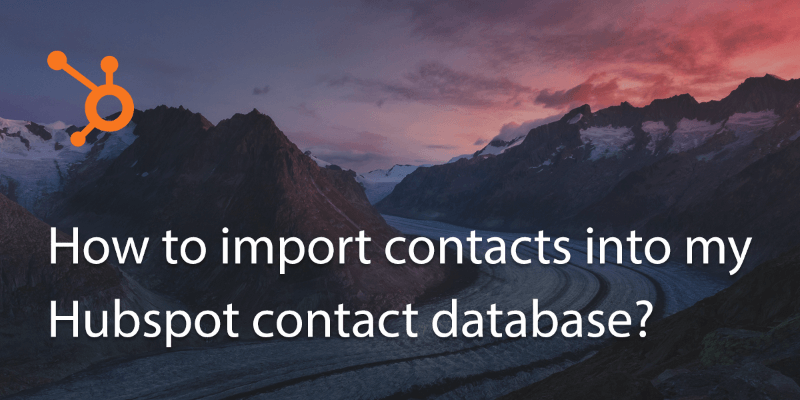 When asked what type of Import, select ‘a csv file’ and then ‘contacts’. 4. Select the file then click ‘upload’. You may be asked to map the properties at this stage. 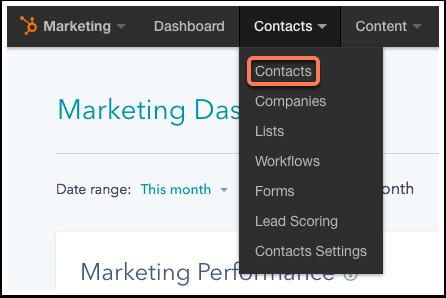 Hubspot will generally match fields up if you have labeled them correctly, but you can edit at this stage if you wish. When you’re ready click next to confirm additional details. 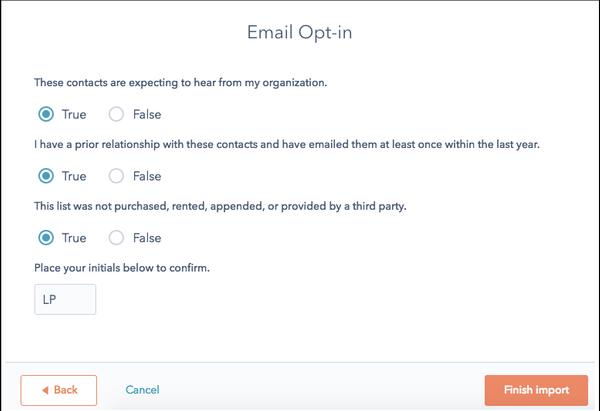 On the Email opt-in form, it will ask you to select ‘true’ for all options, so review the questions options and if these statements apply to you then select “True” and then select Finish Import to complete the import. 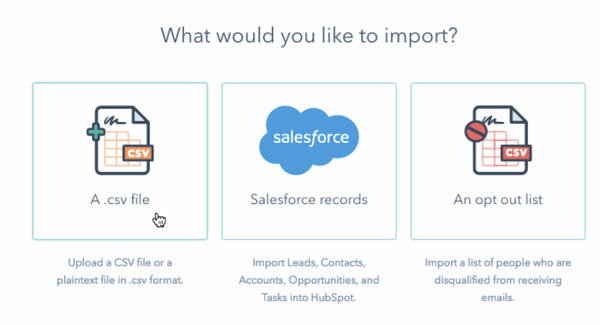 How Can I Import My Data into Hubspot from Another CRM Using Import2? 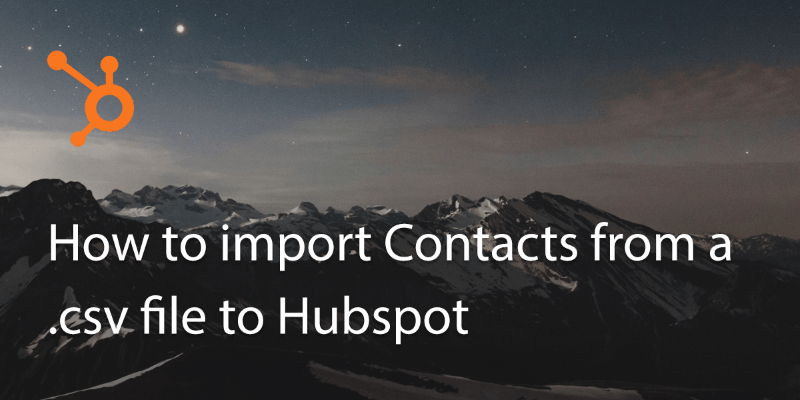 How to import contacts into my Hubspot contact database? 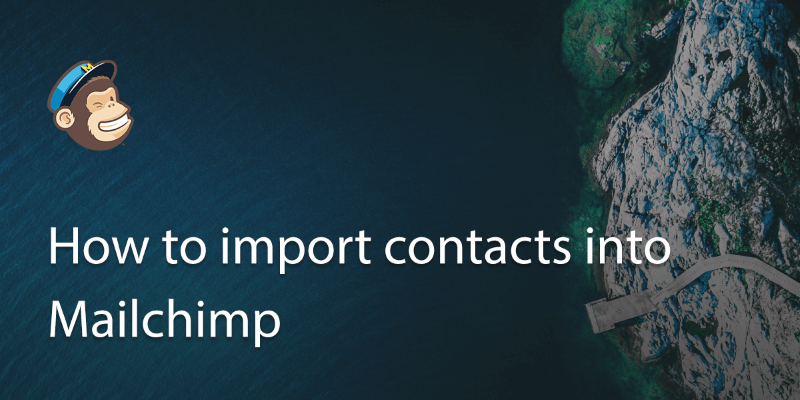 How to Import Contacts from Other Services in Mailchimp? 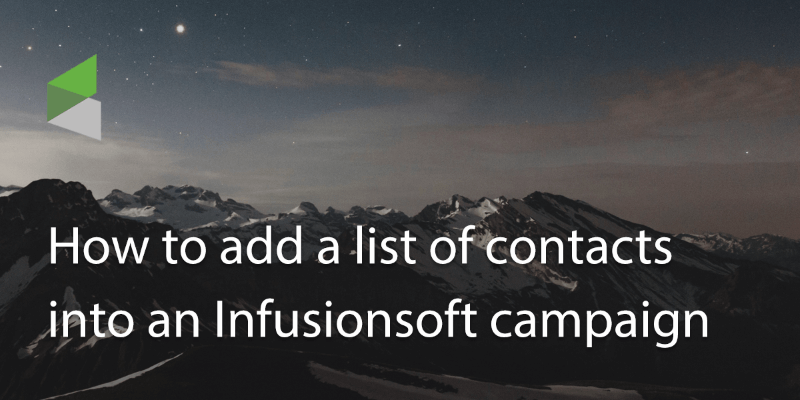 How to Add a List of Contacts into an Infusionsoft Campaign? Written on 27 Oct 2017.